Recycling topped the agenda at this year’s GDA Sustainable Aluminium Packaging Summit in Dusseldorf. According to the GDA, as the third most common element in the Earth’s crust, aluminium scores convincingly in this respect: it has the highest scrap value of all packaging materials and consequently provides a major economic incentive to collect used aluminium packaging and to screen it out from the packaging stream with the aid of modern sorting technology. In addition, aluminium is a so-called permanent material that unlike other materials can be recycled time and time again without any loss in quality. It is not surprising therefore that the recycling rate for aluminium packaging has now reached 87 per cent in Germany and is over 60 per cent in Europe. Recycling also offers the added benefit of a 95 per cent energy saving compared with the production of primary aluminium, GDA says. According to the GDA the implementation of the new European Circular Economy Package has resulted in heated debate of the use of recycled material in packaging. The remarkable fact that 75 per cent of all aluminium ever produced is still in use today plays a key role here. Given the current high level of demand for aluminium from the widest possible range of industries worldwide (automobile, building and construction, electronics, packaging, etc.) 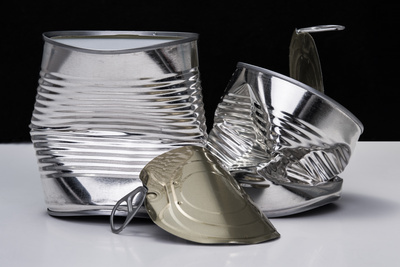 and the long service lives of many aluminium products, only about 20 per cent of the aluminium required can be met by using recycled material. “Claiming that certain products have a recycled material content thus has tight physical limitations and could lead to recycled material streams being diverted in a manner that is questionable from ecological and economic points of view,” explains Jörg Schäfer, Head of Sustainability and Recycling at GDA. Tougher new regulations and consumer concerns are reflected in enquiries received at IFAT, Tomra reports. It’s time now for the 28 EU Member States to start delivering on reducing landfill of household waste to maximum 10% by 2035, measuring real recycling after the final sorting phase and promoting the use of materials which are reusable or multiple recyclable.